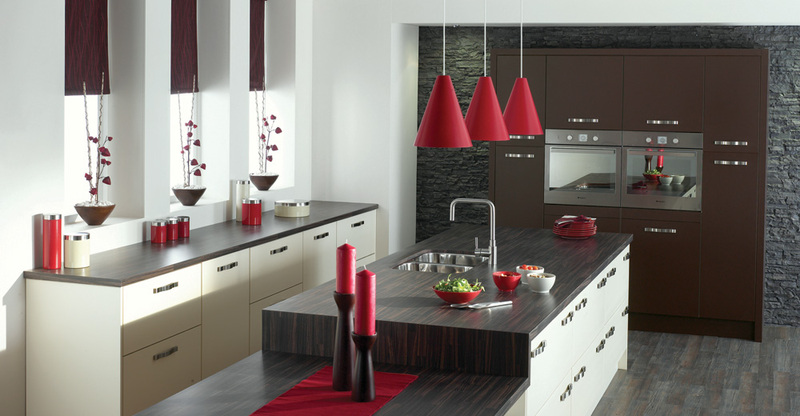 High quality kitchens to suit all budgets and personal requirements. Renown Kitchens has been developed in response to local customer requirements and is the combination of over 30 years of experience between both the kitchen manufacturers and the fitters. Our overriding aim is to provide a range of high quality kitchens to suit all budgets and personal requirements in addition to supporting the installation with an excellent project management programme. We firmly believe we offer a winning formula which other providers will find hard to beat! From the moment you decide that you would like a new kitchen, we will take care of everything. This will include understanding your personal requirements and working with you to plan and design your bespoke kitchen and then managing the installation through all the associated trades which may include building work, plastering, electrics, plumbing, gas work, tiling, floor covering and ultimately decorating! As we work in partnership with a range of quality manufacturers, we can design a kitchen which is right for you and your life style. Styles, colours, worktops, applicances are all flexible and competitively priced and cupboards come in a range of sizes which will maximise storage and flexibility with no additional costs. Our fitters are all qualified carpenters and joiners and can therefore work with you to create an environment which is unique to each customer. All trades used are registered with checkatrade.com and will have a high customer satisfaction history. John is a consummate professional. He shows exceptional attention to detail, creative problem solving skills and produces outstanding results. He has a meticulous eye which ensures that his work is always of a very high standard. I can say that I am extremely pleased with the quality of the workmanship and John pays great attention to detail. In the kitchen, he recommended a few small additional touches to make the maximum use of the space available which enhanced the original plans and have proved very useful additions. John re-fitted our kitchen for us and used the original cupboards to fit out both a utility room and craft room. His craftsmanship was invaluable as he was able to make suggestions as to how best to use the old cupboards and had the skills required to customise them so that a professional and 'made-to-measure' finish was achieved. John has installed a fully fitted kitchen, 2 bathrooms and an integral garage door for us and we would have him back time and time again as we are delighted with the results he produced. He is a true craftsman with outstanding skills. Highly, highly recommended. Copyright 2011 Renown Home Improvement. All rights reserved.